If we want have wisdom, to know what is right, why it is right and the fortitude we need to act accordingly, we need Jesus, His flesh and blood in us. During the summer we hear from the Gospel of John about the Eucharist. 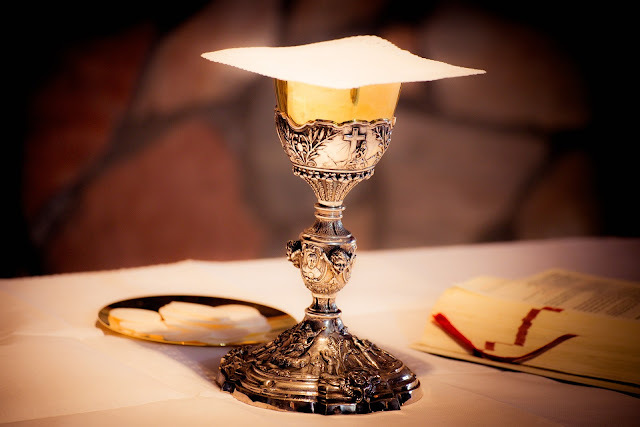 At Mass we receive Jesus, His body and blood, soul and divinity. Unfortunately there are many who do not truly believe this, otherwise we would have more people going to Communion and Confession. God's words are completely true. He is who He says He is and does what He says He will do. This is not usually our experience with each other so it's easy to think that God is the same way. So again, we need wisdom to go beyond our limited human thinking and experiences. As St. Paul said in today's reading, we need to watch carefully how we live making most of the opportunity because the days are evil.